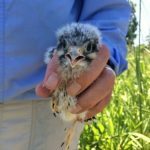 The American Kestrel population has been declining in North America since the 1960s due to pesticide use and loss of habitat. 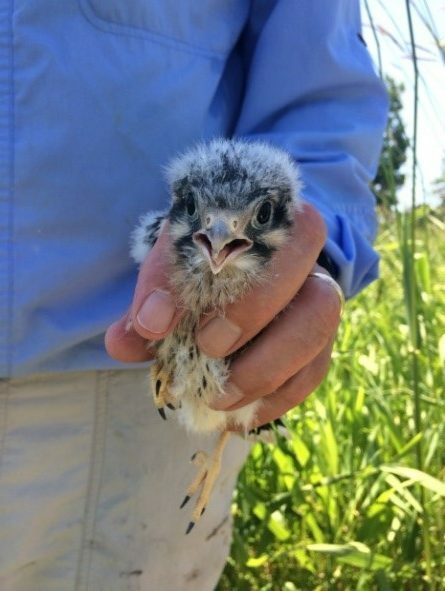 To help its namesake, Kestrel Land Trust built and installed 12 nest boxes in the Pioneer Valley in 2012. What started as 12 boxes has grown to 20 in 2018 through community support with installation, monitoring and up keep. Throughout my service year I have been coordinating volunteers to help move this project forward. 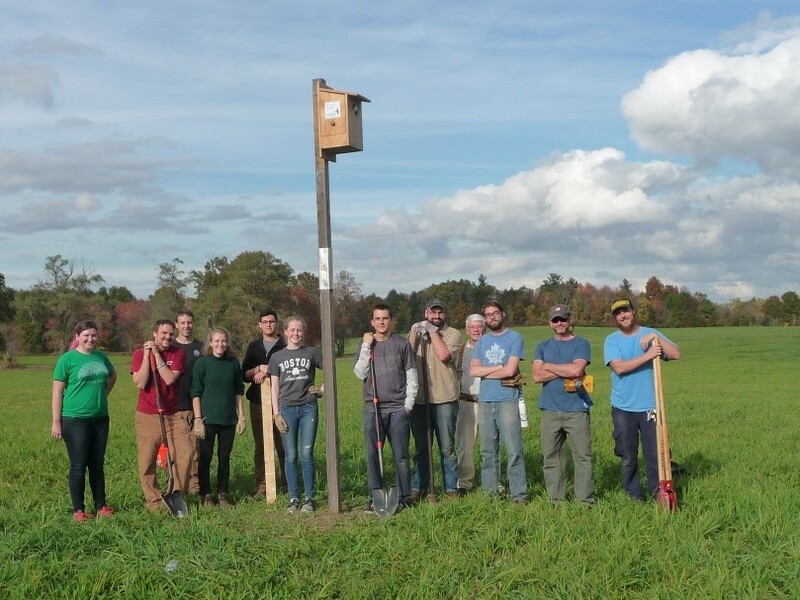 In the fall we took some time to move a handful boxes to more suitable nesting locations in the hopes of attracting a breeding pair. This entailed lifting a 16 foot pole out of the ground, carrying it across a field, digging a 4ft hole, and leveraging them into place. I then spent a few afternoons that winter with a few brave volunteers cleaning out old nesting material and preparing the boxes for spring. As the kestrels start to arrive for the breeding season, volunteers monitor the nest boxes for activity. They monitor the boxes once a week and take notes on kestrel sightings, hunting, and potential nesting. 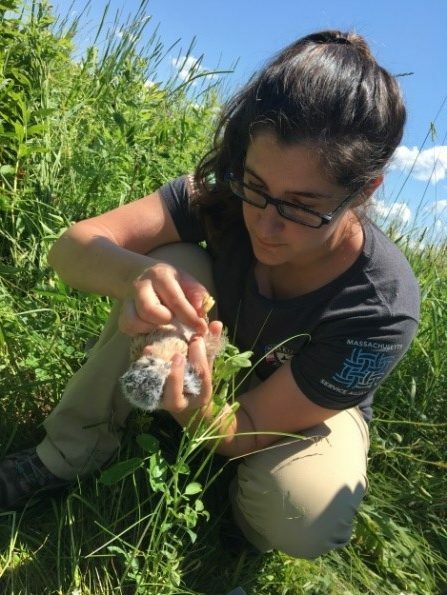 After months and months of preparation, the time finally came to band the kestrels. I got to band my first chick!